CLC World was created by Charles L. Chen as a place to host his Fire Vox extension for Firefox. At first, it was a simple project page that hosted the files and associated documentation, but a little over a year after the first release of Fire Vox, Charles decided to create a more professional looking website (many thanks to Pam Berman for the web site design and layout) and registered clcworld.net. A few months after that, Charles released the CLiCk, Speak extension for Firefox. Later on, Charles had some cool side projects but was too lazy to make individual sites for each of them, and thus, the CLC Laboratory of Coolness was born. And yes, the initials for that lab do indeed spell CLC. Throughout all of this, Andy Chu, a good friend of Charles' from way back, had been alpha testing everything, giving suggestions and ideas, and even doing some of the coding and implementation on the side projects. After Charles moved to California and started to work for Google, Andy stepped up his role at CLC World. In fact, Andy now runs all the side projects in the CLC Laboratory of Coolness. 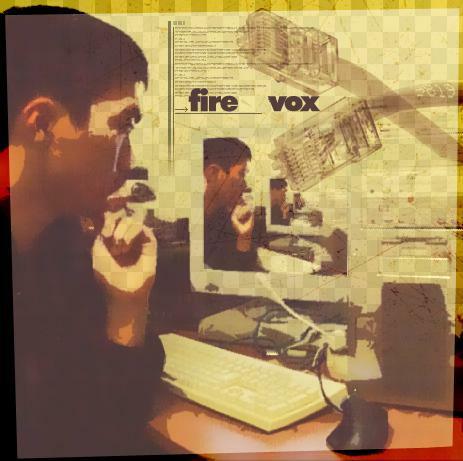 Charles continues to maintain and enhance the Fire Vox and CLiCk, Speak extensions, and those extensions will remain freely available and open source under GNU GPL 2. I'm Charles L. Chen. I'm from Houston, then I lived in Austin for about five years since I was going to UT for my BS and MS, and now I'm in California working for Google. I'm your atypical E.E. graduate/software developer/entrepreneur/world conqueror (just kidding on that last one, maybe). Sometimes I do stuff just to see how hard it could possibly be, which is pretty much how the CLC-4-TTS Suite first came into existence. To everyone who's asked me about this, no, I don't have a normal blog. That's because I'm a cool non-conforming free spirit who's just too awesome. It is definitely not because: 1. I'm too lazy to write normal blog entries, 2. I'm too lazy to even sign up for a normal one, 3. I'd rather spend would-be blogging time going to rock shows, or 4. the combination of the above factors. However, I do have an abnormal blog that contains actual running code and other things which make it rather unbloggy despite being hosted on Blogspot. My initials are CLC; the fact that "Core Library Components" can also be abbreviated as CLC is entirely a coincidence and should not be taken as a sign of megalomania. If you want to meet me in person, the easiest way is to just check the "News" section regularly since I always announce events that I will be participating in. Being able to put a face and a voice on an e-mail address is a very cool thing for me, so don't be shy, I'd love to meet you. My email is clc [the symbol that looks like the letter "a" with a circle around it] clcworld [dot] net. I'm Andy C H Chu, from Perth, Western Australia. I've known Charles for going-on-10 years now and I've been helping him on Fire Vox since its conception. A bit about me, I'm working in the IT industry as a Network Engineer for medium to large scale Medical organizations. I've been helping Charles test and debug his CLCWorld programs for a while now and, given his new responsibilities at his new job, feel like this would be a good time for me to step up a bit more and make sure these projects continue to be of a consistently high level of quality rather than letting that drop off. As part of my increased role at CLCWorld, I am now in charge of all the projects in the CLC Laboratory of Coolness (including some which are not listed there yet) - in short, everything that's not Fire Vox or CLiCk, Speak. These are big shoes to fill and I hope to have your support in this. My email is shirakani [at] clcworld [period] net.